There are 4 ferry routes operating between Hvar Island and Italy offering you combined total of 6 sailings per week. Jadrolinija operates 1 route, Stari Grad to Ancona which runs 2 times weekly. Gomo Viaggi operates 2 routes, Stari Grad to Civitanova Marche runs 2 times per week & Hvar to Civitanova Marche about 1 time weekly. GS Travel operates 1 route, Hvar to Termoli which runs 1 time weekly. As the frequency and duration of crossings on some routes varies we would advise that you do a live search for crossings from Hvar Island to Italy to get the most up to date information. Hvar is an island in Croatia situated just off the Dalmation coast, measuring 68 kilometres long and 10 kilometres wide. Characterised by rolling green hills, fresh water springs and picturesque port towns, Hvar is one of Croatia’s very best attractions. There’s also plenty of great hangout spots to suit all types of sun-seeker, ranging from idyllic bays to beaches ideal for water sports. The island’s fascinating cultural history oozes from every corner, from the oldest town in the country, Stari Grad to the bustling Hvar Town and its looming hilltop fortress. Spectacular coastal views and backdrops come in abundance, too. Thanks to its location in the Adriatic Sea, Hvar is a great departure point for Italy, with frequent ferry routes to Pescara on the east coast and, from there, it’s just a few hours’ drive to Rome and Naples. 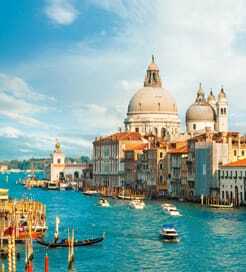 Italy is a boot-shaped peninsula situated in the Mediterranean Sea at the bottom of Western Europe, with the Tyrrhenian Sea to the West, Ionian Sea to the South and Adriatic Sea to the East. Italy is the fifth most visited country in the world and contains more World Heritage Sites than any other country. Although Rome, Milan, Venice and Florence are the top tourist destinations in Italy, the country’s rich collections of art, culture and literature from many different periods and regions make it impossible to judge on where the most interesting location is. With around four thousand miles of coastline, with countless gulfs, inlets, and long sandy beaches, Italy is truly adapted to the holiday lovers every need. Coastal cities with their sea resorts and awesome beaches are easily reachable by car with a variety of ferries and vessels large and small ready to sail you there.